Dark Secrets Of the Urban Underground was released on September 29! My new solo album will be released soon, at Groove Unlimited. Dark Secrets Of The Urban Underground. It will contain 7 tracks. On May 29th, we sold our last copy of Galaxis. The album is still available from a number of retailers. From March 17th, the new 3CD Galaxis will be available! Galaxis is a release of 300 copies only. 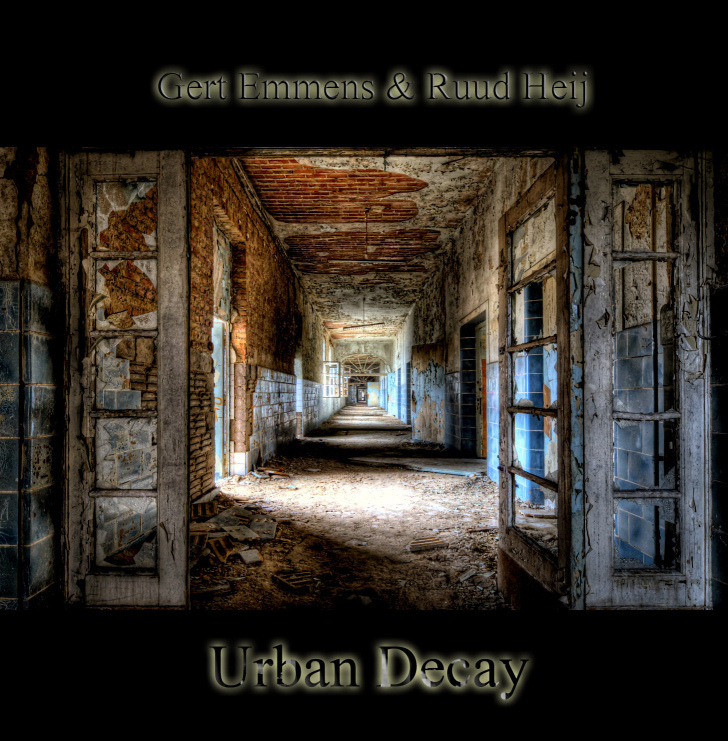 The new album from Gert Emmens & Ruud Heij will be released in March. Since it is their 10th album and the 15th year of collaboration, it will be a special 3cd digipack with more than 200 minutes of new music! The closing track from Stories From Floating Worlds vol. 1 is on YouTube now. The track is entitled Signs From The Underground. 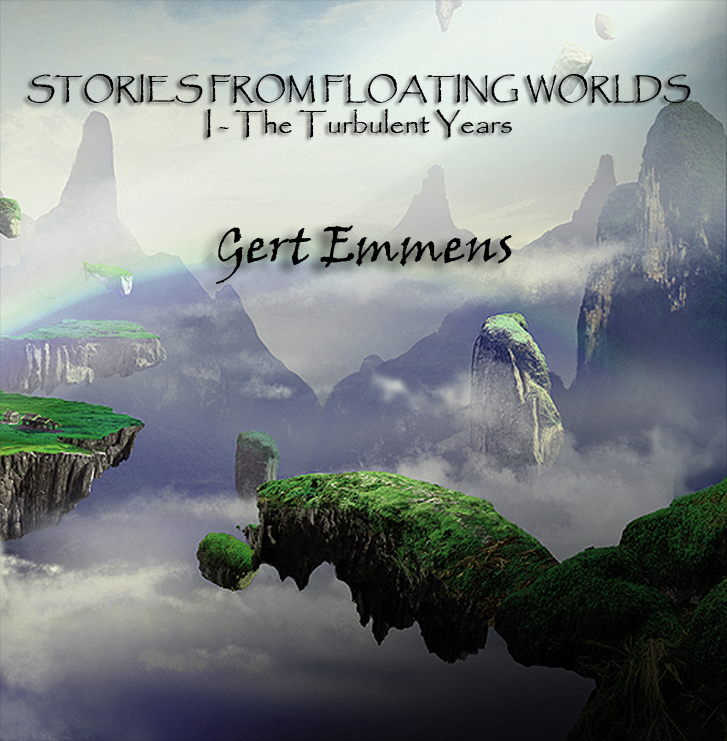 Stories from floating worlds was released on September 28. The album contains 4 tracks and it is the first of a two volumes series about Stories From Floating Worlds. More news here. 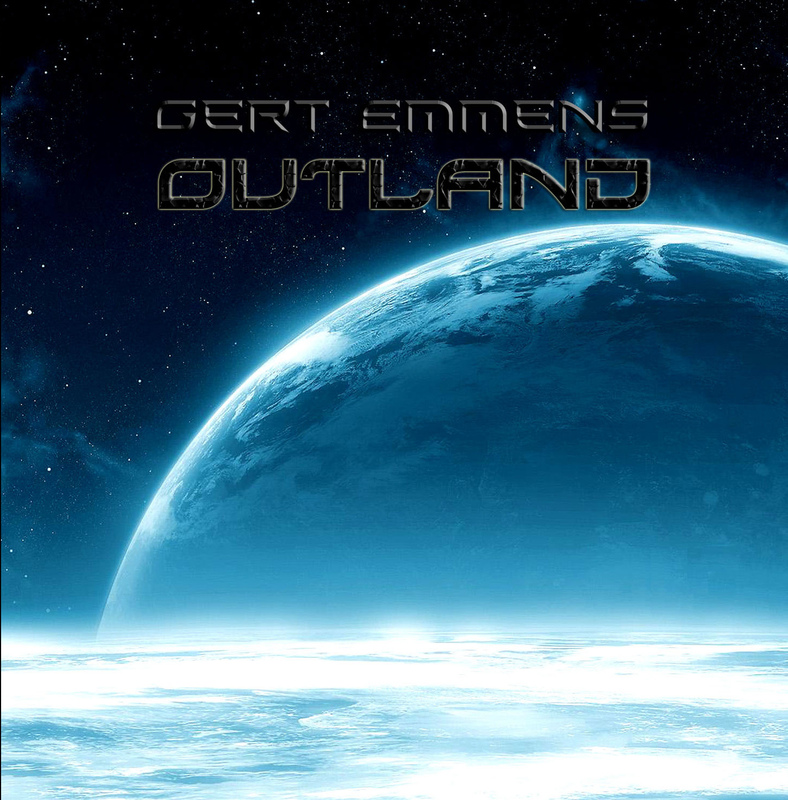 The new album from Gert Emmens will be released within a few months. The album contains 4 tracks and it will be the first of a two volumes series about Stories From Floating Worlds. More news soon. Urban Decay released on CD! 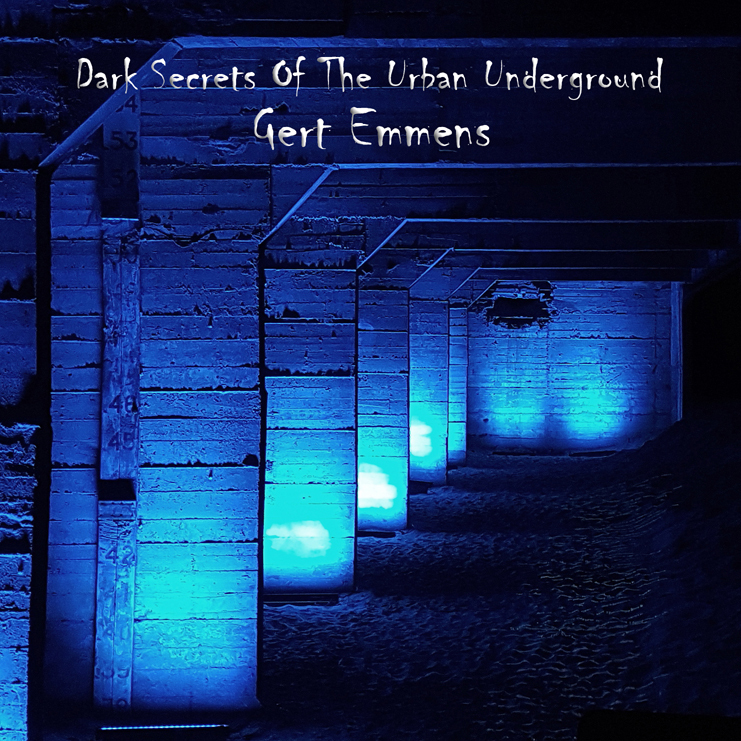 Two years ago, in December 2014, Gert Emmens & Ruud Heij released 6 "left over" tracks as download only. They entitled the download album Urban Decay. The tracks were based on and inspired by their performance at the E-live festival in 2012 and were completed in February 2013. Because of the change in their style of music (at first ambient on Signs, followed by a more retro Berlin School kind of music on Echoes From Future Memories), nothing was done with the 6 tracks, until the release as download. Since that release there have been requests from fans now and then, to release it on cd as well. Now, in December 2016, Gert & Ruud found Ron Boots from Groove Unlimited willing to release the album on cd. I published The Last Alien part 3 (excerpt) on YouTube. The excerpt excludes the last 3 minutes of the track. The Last Alien is released on August 10! At this moment the album is available at Groove Unlimited. More info at the Groove website. More info at the The Last Alien page. 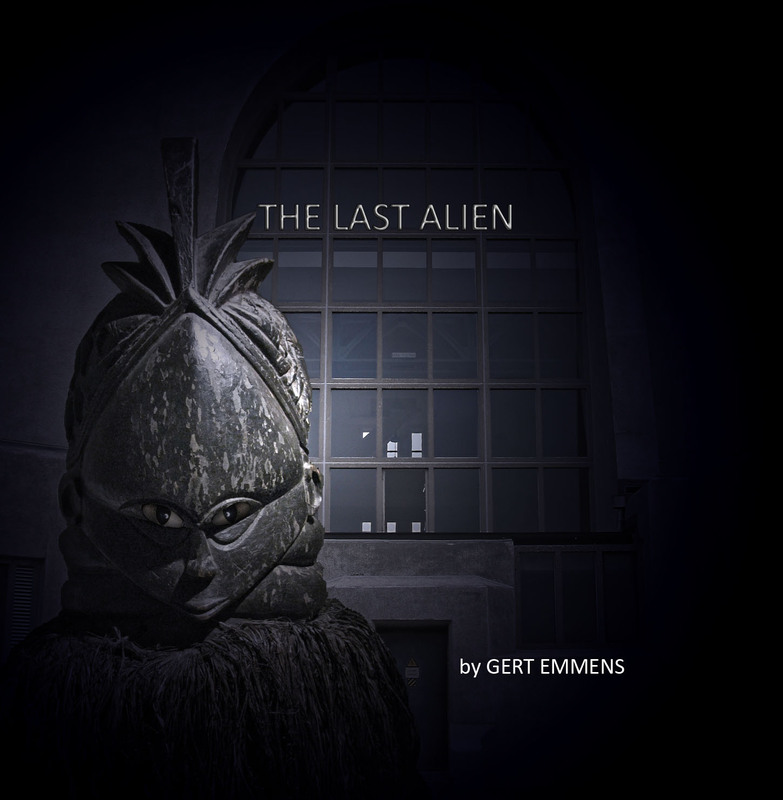 This month, my new album The Last Alien will be released. At this moment, the music and cover is at the factory to be printed. Working on a new solo album. I want it to be an album with old analog gear only, no MIDI. With this, I hope to give the album a strong seventies feel, more even as can be heard on Triza. The sequences are the "heart" of the album. 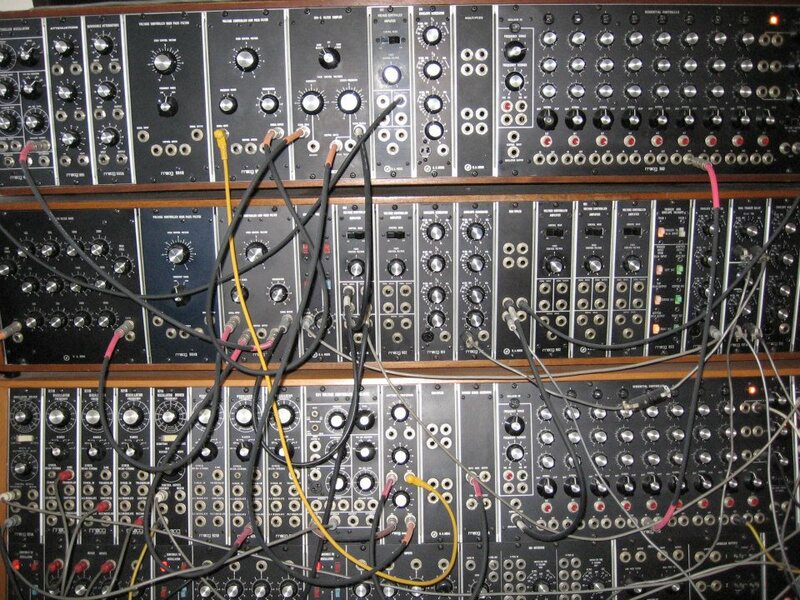 During two days with recordingsessions, I recorded the sequences at a friend's studio with his huge Moog 55 modular, the one shown on the photo. Now working on the intro's of the tracks. More news soon. On October 24, I played with Akikaze (Pepijn Courant) on drums, during his concert at the E-live festival in Oirschot, Netherlands. We had a very positive response overall. I published a number of photo's from the concert on my Facebookpage. 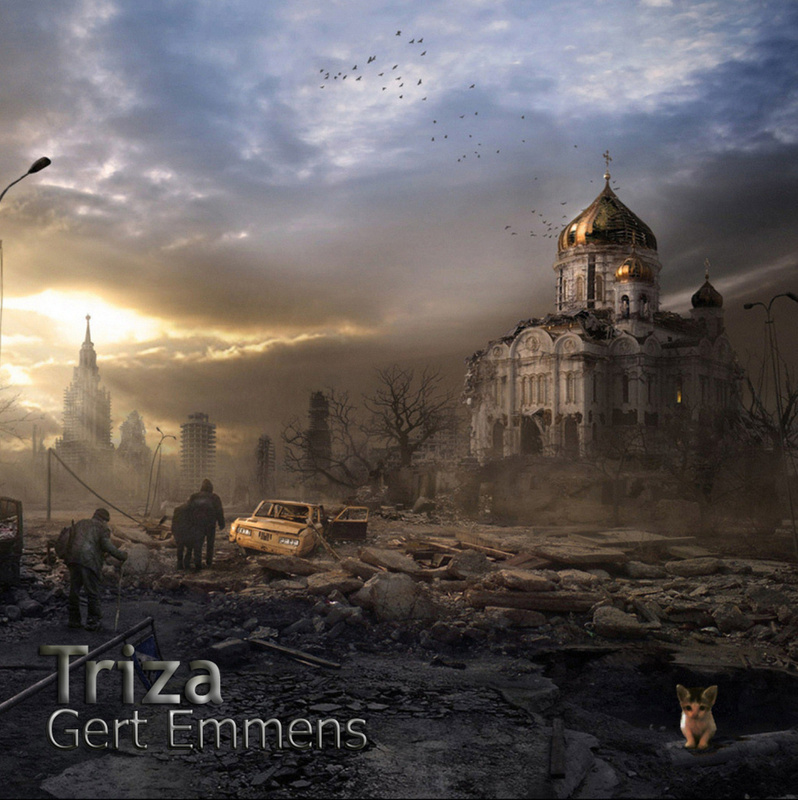 On October 24, my new Triza album was released. More info (tracks, artist of the cover etc.) at the Triza page. For ordering, please visit the website of Groove Unlimited. Listen to Nightlife (4th track of the album) on Youtube. On October 24, I will join Akikaze (Pepijn Courant) on drums, during his concert (the first since more than 10 years!) at the E-live festival in Oirschot, Netherlands. More info at the E-live website. Also on October 24, the new album will be released. The album title is Triza. More info at the Triza page. 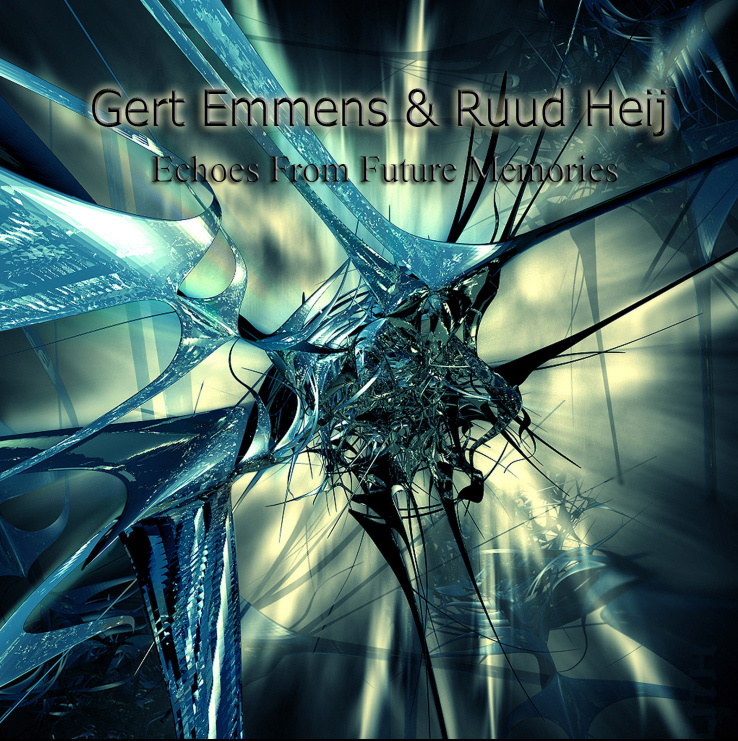 On April 18, Echoes From Future Memories, the new album from Gert Emmens & Ruud Heij will be released. The music returns to a very retro style of electronic music. More info here. 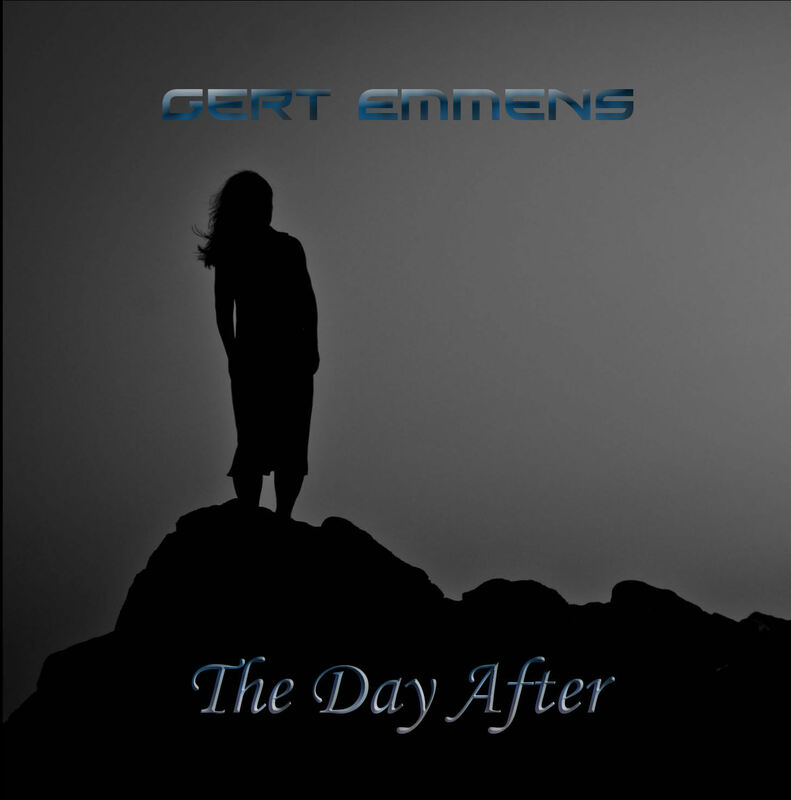 Gert Emmens & Ruud Heij will have a CD-stand at the E-Day festival on April 18, in Oirschot, Netherlands, where the sell their cd's, including the new album. They will also bring a laptop, with the download versions of the albums on it. Meaning you can buy downloads also (bring a stick!). Their album Urban Decay was released as a download only by the way. Some info at the SHOP page for ordering. On December 16, the new album from Gert Emmens & Ruud Heij is released, as download only! The music was composed and recorded in 2012, after their concert at the E-live festival. So, the music was recorded before Gert and Ruud started working on their ambient album Signs. The music is a strong contrast with the ambient music of Signs: very much sequencer dominated. Pleas visit the SHOP page for ordering. On October 18, I performed at the E-live festival, in the Enck theatre in Oirschot, Netherlands. That day, the new soloalbum Outland was released. More info on the Outland page. On November 8, Ruud Heij and I had a recording session in Ruud's studio. On December 5 we will have our next session. We have started working on a new album. As far as I can see now, it will become our most retro Berlin School sounding album so far. More info as soon as possible. I will be performing at the E-live festival on October 18 this year, in the Enck theatre in Oirschot. My concert will be the first evening concert, before the main act of the day: Manuel Göttsching (Ashra). At the same day, my new album Outland will be released. I will be playing 4 tracks of the album, plus a track exclusively written for the concert. More info about the festival at the official site. 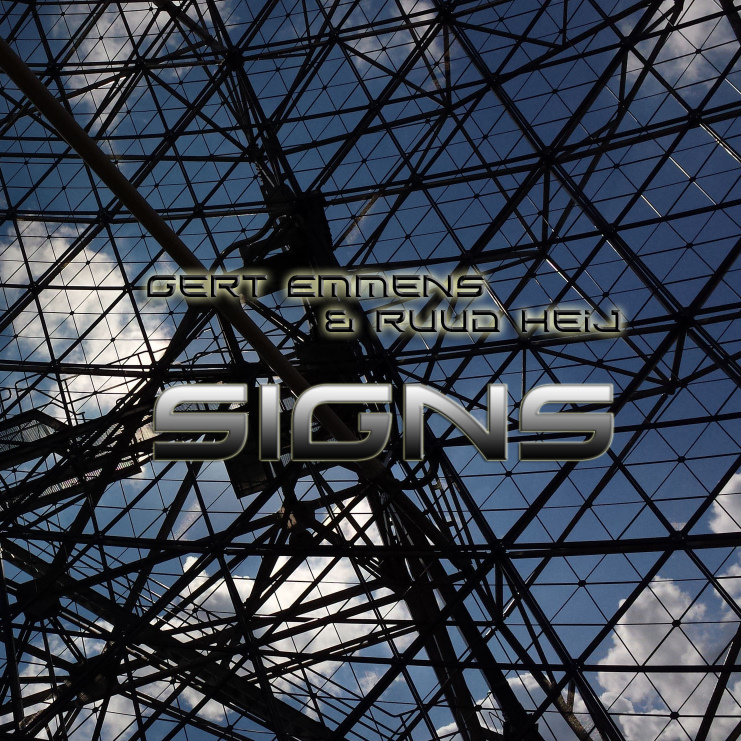 Three reviews were added to the page of Signs, the new ambient album of Gert Emmens & Ruud Heij. My new soiloalbum Outland is almost finished. The 6 tracks are mastered. Going to start working on the cover shortly. Most Likely the album will be released in September or October. Downloads now available as FLAC as well (besides mp3). Please check the SHOP page. Added the videoclip of Signs (the titletrack) on YouTube. 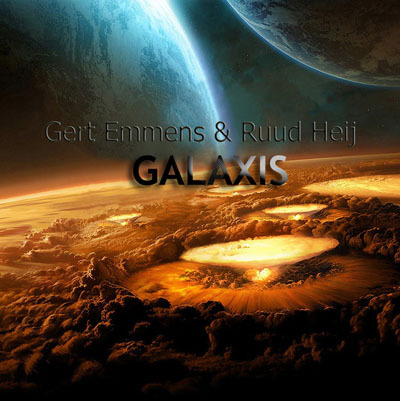 The new album of Gert Emmens & Ruud Heij is available now!! It is our 7th collab album, and the first ambient one. More information on the Signs page. For ordering, please have a look at SHOP page. The CD will soon be available at most of the EM distributors as well. New Gert Emmens & Ruud Heij album out soon!! 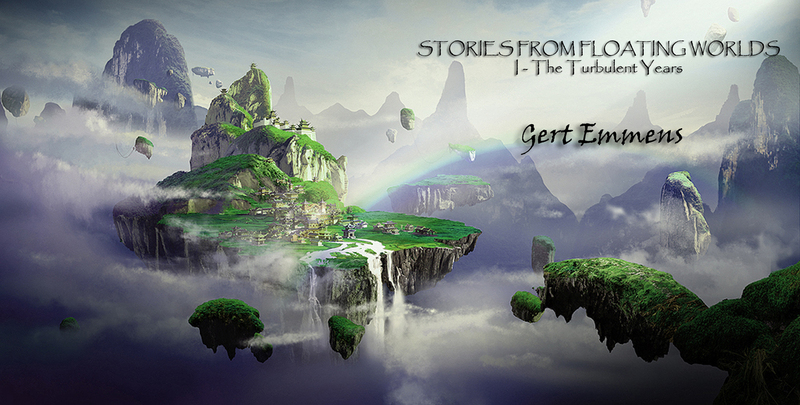 The new album of Gert Emmens & Ruud Heij will be released around March/April 2014. It will be an album with ambient music only, so no sequences this time. Five tracks have been selected, the title of the album will be SIGNS. The music is inspired by those large radiotelescopes, and their constant searching for signals/signs, coming from outer space. The frontcover photo is taken by a cousing of Gert: Hilko Hof. More news about the album soon. Added two new reviews to the page of my most recent EM-album, The Day After. On October 19, I supported Remy on stage at the E-live festival in Oirschot, along with members of My Breath My Music. Playing synth and drums. One of the tracks that we played is a new one, composed by Remy and me. Ruud Heij and me are finishing a new album. As far as I can see now, it will be released Spring 2014, before or at the E-day festival. My new album with electronic music, The Day After was released on June 22. I've added a videotrailer of the album to my YouTube channel. Aleksandra Przybylska did an interview with me in June, it is published in Polish and in english (scroll down). reviews added to Lost In the Swamp and Memories albums. Added a video of Daydreaming (from the Memories album to my YouTube channel. On April 6th, I supported 14-year old Synthex on stage during his first performance at the E-day festival. Quite a fresh experience i must say. We had a great day and got many positive reactions. 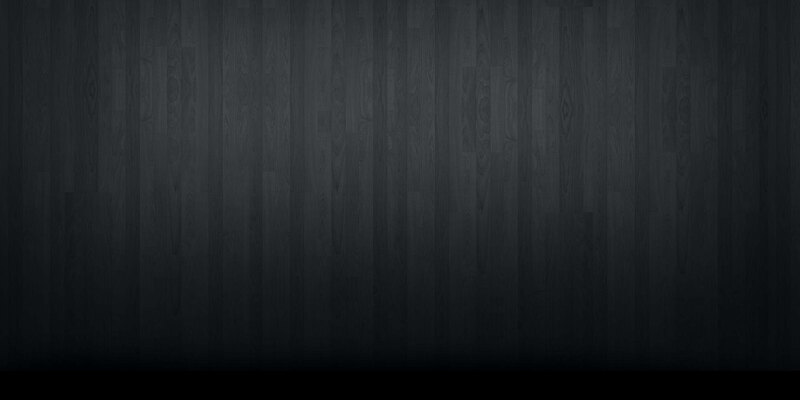 Photo's, films and review will be published on the net soon. Added the first review of Memories. 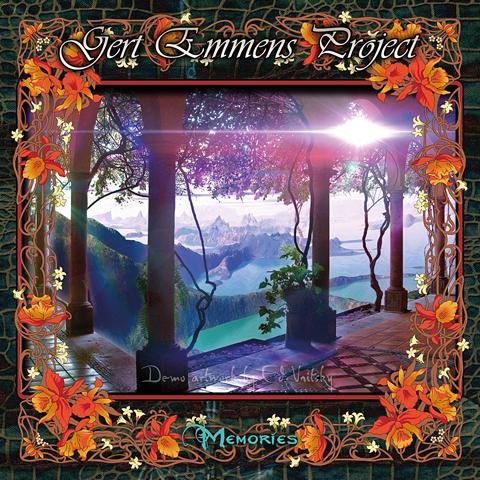 On January 3rd, Memories, the first progrock album of Gert Emmens is released, under the name of Gert Emmens Project. Info about the album (includes a soundclip of track 5). You can order the album at Groove Unlimited , amongst others.